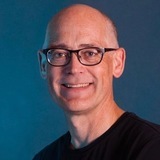 Dr. Danny Lange is Vice President of AI and Machine Learning at Unity Technologies where he leads multiple initiatives in the field of applied Artificial Intelligence. Unity is the creator of a flexible and high-performance end-to-end development platform used to create rich interactive 2D, 3D, VR and AR experiences. Previously, Danny was Head of Machine Learning at Uber, where he led the efforts to build a highly scalable Machine Learning platform to support all parts of Uber’s business from the Uber App to self-driving cars. Before joining Uber, Danny was General Manager of Amazon Machine Learning providing internal teams with access to machine intelligence. He also launched an AWS product that offers Machine Learning as a Cloud Service to the public. Prior to Amazon, he was Principal Development Manager at Microsoft where he led a product team focused on large-scale Machine Learning for Big Data. Danny spent 8 years on Speech Recognition Systems, first as CTO of General Magic, Inc., and then as founder of his own company, Vocomo Software. During this time, he was working on General Motor’s OnStar Virtual Advisor, one of the largest deployments of an intelligent personal assistant until Siri. Danny started his career as a Computer Scientist at IBM Research. Danny holds MS and Ph.D. degrees in Computer Science from the Technical University of Denmark. He is a member of ACM and IEEE Computer Society and has numerous patents to his credit.